Bradford Community Church Unitarian Universalist is both a young church and an old church. While its roots are firmly entwined with the city's founding fathers and mothers, it also is a young congregation just finding its identity. In 1847, only 12 years after the first settlers arrived in what is now Kenosha, a Universalist Society was established. As the community grew, this group joined with other free thinkers who were interested in having religious services upon a more liberal basis than that afforded by the existing churches. In 1865 the First Unitarian Society was formed. They called the Rev. Newton Mann as their minister and three years later, in 1868, built a small frame church near downtown Kenosha. The rolls of that early membership reflect a who's who of the area's leadership in a time when Wisconsin settlers fought against slavery, abolished the death penalty and formed the first public schools. During those years, two men named Simmons (but not related) stand out. One was a member of the congregation, Zalmon G. Simmons, a mattress manufacturer of wealth and power; the other was the Rev. Henry M. Simmons, whose wealth lay in his talents as an orator and educator. Henry Simmons was minister from 1871 to 1879. He also was superintendent of schools five years and was an active voice in community affairs, before moving on to minister to the First Unitarian Society in Madison, Wisconsin, the state capital and home of the university. One of the congregation's activities during his tenure was to donate books for a lending library in the church basement. When, in 1896, the city established its first public library in an impressive building donated by Zalmon G. Simmons, the 927 volumes from the church became the core collection of the city library. During the 20 years after Henry Simmons left, the congregation met only occasionally until it was rejuvenated by the Rev. Florence Buck, one of the first women ordained in the United States. She served the congregation from 1901 to 1910. In 1907, Z.G. Simmons financed an impressive new building for the Unitarian Society. The cut limestone structure was designed by then-famed architect, N. Max Dunning. The new church was built on the same site as the frame church. It was named as a memorial to the Rev. Henry M. Simmons. During the late 1800s and early 1900s, Z.G. Simmons was a major factor in the Society's life, not only seeing to the construction of the new building but also paying the minister's salary some of the time. He died in 1910, three years after completion of the building. That was also the year that Florence Buck, the congregation's last strong minister of the early era left. After this double loss, a succession of ministers and a small loyal band of church members struggled to keep the Unitarian Society alive in a Kenosha changing from a progressive Yankee settlement into a manufacturing city heavily populated by European immigrants with strong Catholic and Lutheran ideologies. Among the active lay leaders of the congregation during that time was Mary D. Bradford, a nationally recognized education reformer who was Kenosha's superintendent of schools from 1910 to 1921. Perhaps the final blow to the Society was struck by the Rev. James Morrison Darnell, judged a brilliant young pulpit orator, who was called in November of 1914. By January, he was exposed as a bigamist and a fraud and fired by the congregation. A month later he was behind bars, eventually landing in the federal penitentiary at Leavenworth. No further ministers were called. The congregation gradually disbanded and in 1926 the building was sold to the city to become a children's library, which seemed fitting. Mary Davison Bradford (January 15, 1856 – February 3, 1943) became the first woman in Wisconsin to serve as superintendent of a major city school system. She served as Superintendent of Schools of Kenosha, Wisconsin from 1910 to 1921. Mrs. Bradford, the former Mary Davison, was born in Kenosha County in 1856 and graduated from Oshkosh Normal School in 1876. She taught at Kenosha High School from 1876 to 1878. 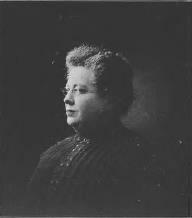 She became a member of the Board of Visitors of the Milwaukee State Normal School in 1892, joined the new faculty of Stevens Point Normal in 1894, and joined the faculty of Stout Institute in 1906. She then joined the faculty of Whitewater State Normal in 1909 where she served one year before returning to Kenosha. She started the first kindergarten program in the city before retiring in 1921 after 45 years in education. Bradford's memoirs were first published serially beginning in September 1930 in the Wisconsin Magazine of History, and in 1932 they were published in book form. She died in Kenosha on February 3, 1943 at the age of 87. Bradford High School and Bradford Community Church Unitarian Universalist in Kenosha are named after her. The city sold the building in 1979 to a restaurateur and it was home to several eateries and bars before it was reclaimed in 1993 by a new generation of free thinkers. In 1952, a Unitarian fellowship had been formed in Kenosha sharing the services of the pastor of the Universalist Church of the Good Shepherd in neighboring Racine. After the Unitarian and Universalist merger in 1961, the Kenosha Unitarians merged with the Racine Universalists, meeting in Racine. A UU presence in Kenosha was kept alive however by a Social Concerns Committee, formed in 1970 and active in a member of programs and projects including Planned Parenthood and Mothers for Peace. With this committee as a nucleus, a small group formed a Kenosha branch of the Racine church in 1979, meeting in rental spaces, and sharing the services of the Rev. Tony Larsen, who still serves the Racine congregation. When, in 1987, the demands on Tony Larsen's time became too great, the group obtained its own charter, taking the name of educator and lay leader from the early congregation, Mary D. Bradford, and called its first minister. The Rev. Marni Harmony was the part-time acting minister in 1987-88, the Rev. Marianne Hachten-Cotter was half-time extension minister from 1988 to 1991 and the Rev. Barbara Jo Sorensen was part-time acting minister the year of 1991-1992. In 1992 the congregation called its first full-time minister; the Rev. Annie Holmes, who came as an extension minister and served until moving to the state of Washington in the spring of 1997. In 1993 the congregation conducted a successful $150,000 capital fund drive making it possible to buy back the Unitarian church built in 1907 which was dedicated to the tradition of Henry Simmons, Z.G. Simmons, Florence Buck and Mary Bradford and those other early Unitarians. In the spring of 1998 the congregation, after a nine month, nation-wide search, called the Rev. Sarah Clark to be its full-time minister. In June of 2001 Rev. Sarah Clark accepted a call to another church in New Hampshire and left Bradford. The 2001-2002 church year was under the leadership of interim minister Rev. Nancy Roemheld. The congregation in June 2002 called Rev. Georgette Wonders as its full time minister. Rev. Wonders' ministry was highlighted by increased social justice involvement and community action as well as building the church's religious education and youth programming. Rev. Wonders was involved in a fatal car accident in April 2014. Rev. Lillie Mae Henley ably served Bradford UU as interim minister in a period of grief, healing and growth from August 2014 through June 2016. In May of 2016, Bradford Community Church UU members voted unanimously to call the Rev. Erik David Carlson as the next settled minister.